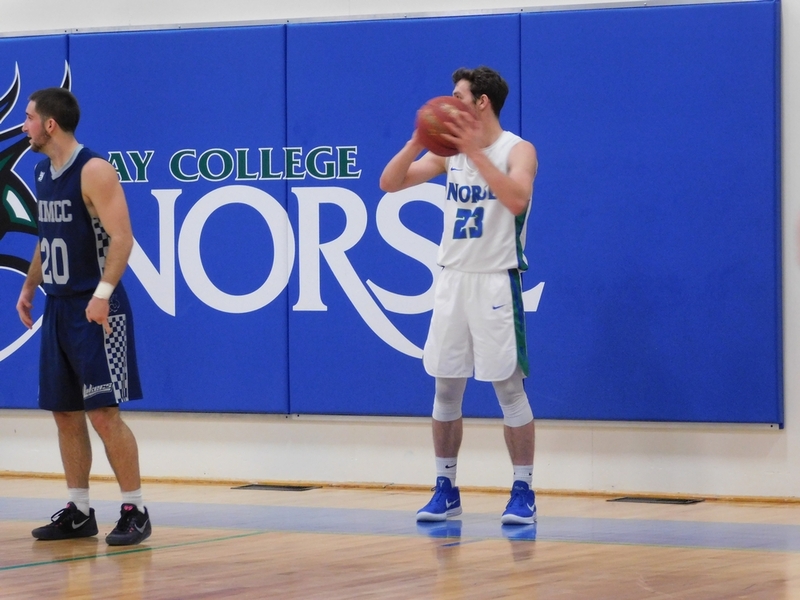 ESCANABA---The Bay College Norse men's basketball team won its second straight game on Saturday, beating the Mid-Michigan Lakers, 73-62, at the YMCA Gym. Rasonte Smith scored all 20 of his points in the second half for Bay. 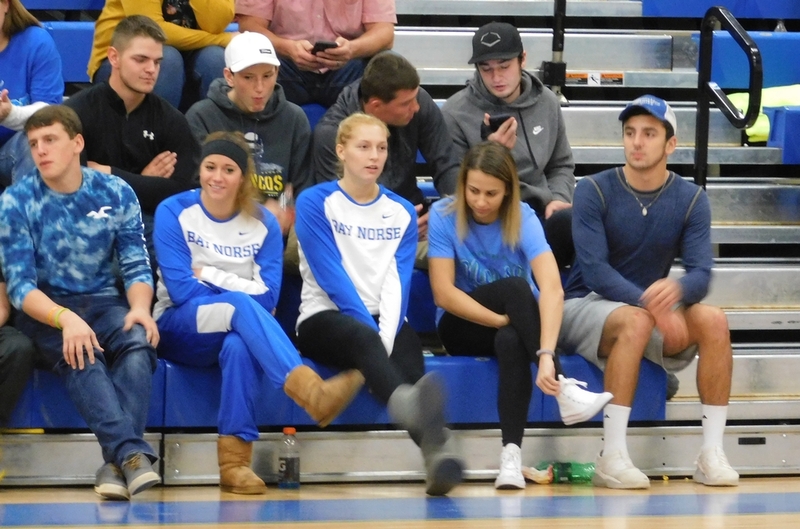 The Norse led by as many as 15 points in the first half, fell behind by six points in the second half, but then bounced back with tough defense and clutch shooting to improve to 2-3 on the season. 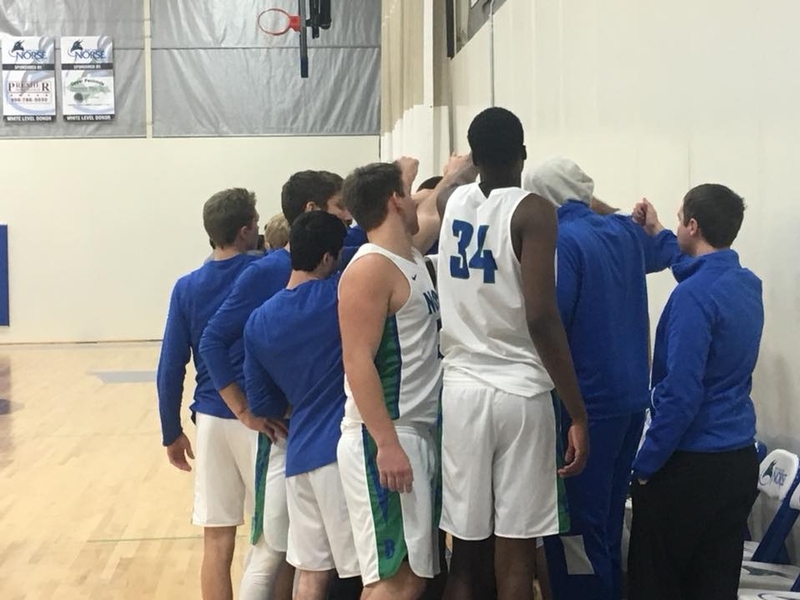 The Lakers had won an exhibition game at Finlandia University in Hancock Friday night, and had won their only regular game against Alpena. 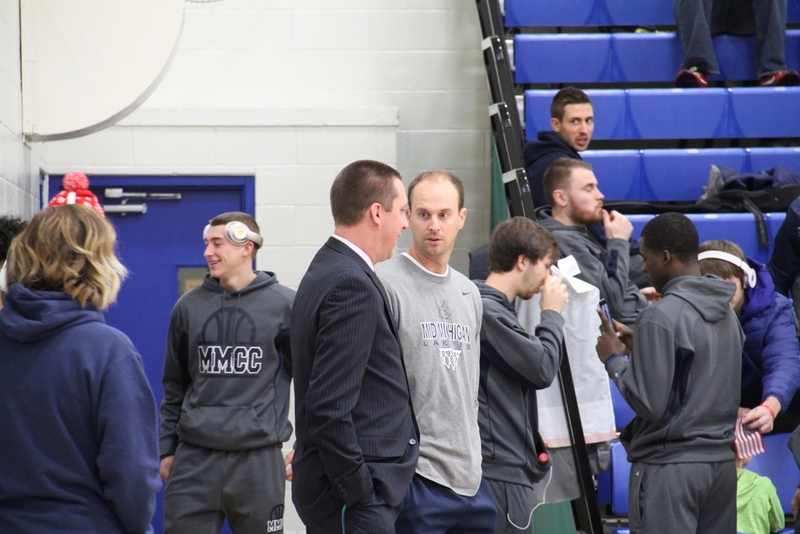 "Mid Michigan is pretty darn good," Bay Coach Matt Johnson said. "They're not going to let you do anything easy. I thought we did a heck of a job defensively, especially in the first ten or 15 minutes of the first half. We made their life difficult, and didn't give them anything easy." 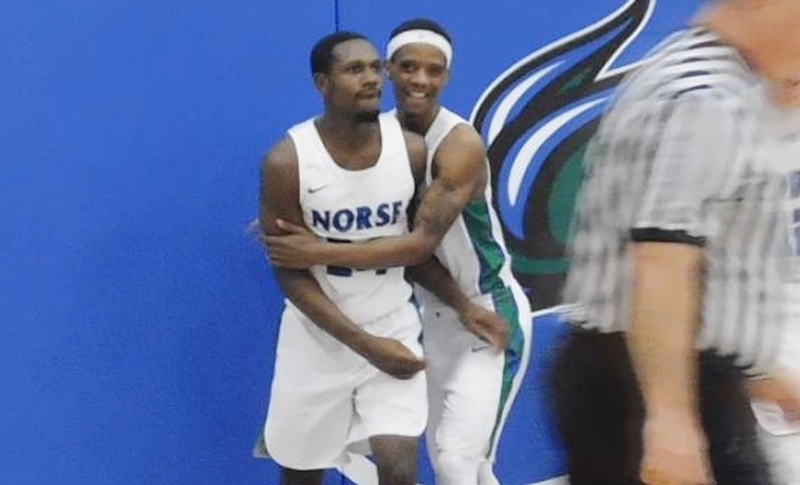 The Norse raced to a 20-5 lead in the first half as Joe Gibbs slammed home a dunk for the third straight home game and Alfonzo Fields drained three straight triples. 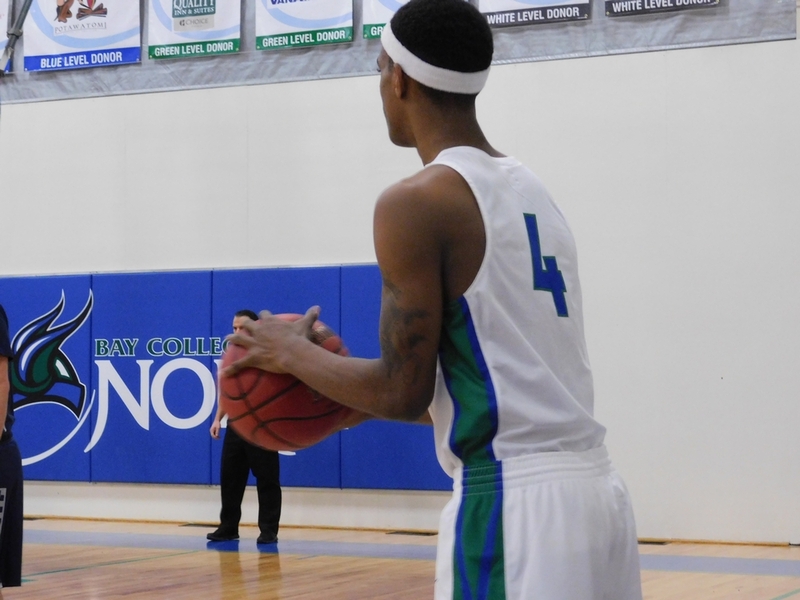 And 6-foot-10 center Kobi Lumsden-Barnes had four baskets, forcing the Lakers to change defenses. As the half went on, however, the Lakers caught fire from behind the arc and started to find some success inside as well. 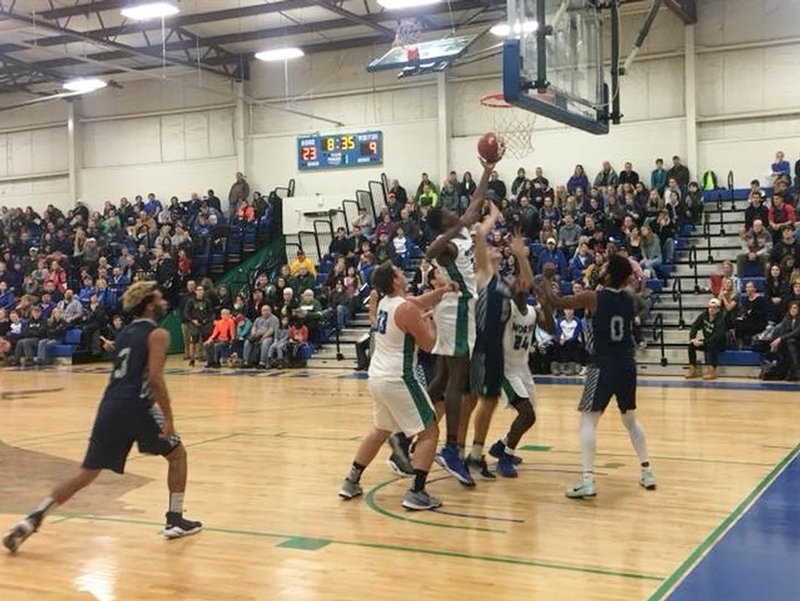 They closed to within 29-28 at halftime, and then outscored the Norse 10-3 to start the second half, taking a 38-32 lead. 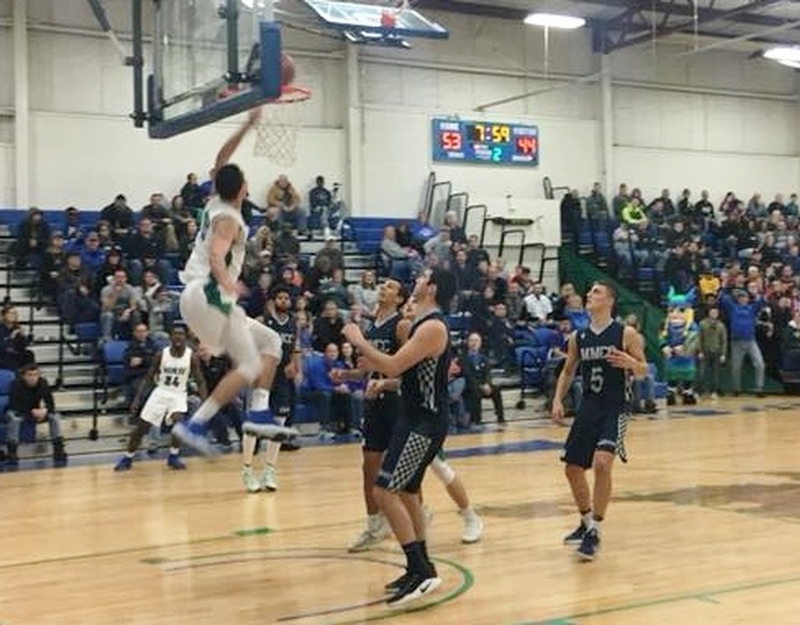 But that's when Smith gave his team a huge boost, draining three three-point basjets to help the Norse regain the lead, 41-38, with 12:28 left on the clock. 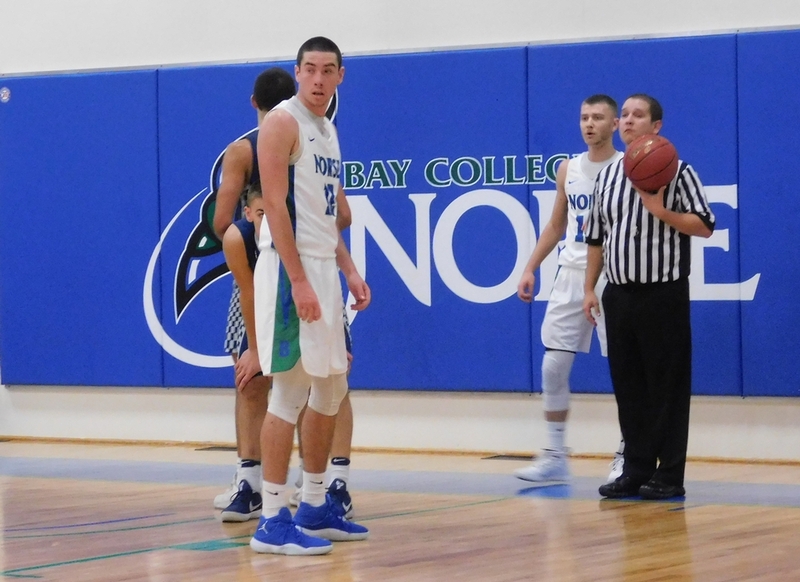 Bay College clamped down on defense as well, and took advantage on the offensive end, with Dre Tuominen skying for a three-pointer off of a missed free throw. And they worked the ball down low well, with Gibbs getting a basket and a foul to give the Norse a 51-42 lead with 9:41 left. And Smith came up big at both ends of the court moments later, with his basket making it 53-42. Smith later had the one that put the game out of reach at 68-59. 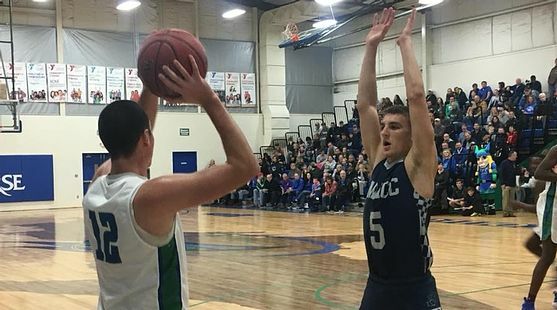 The Lakers closed to within six points in the final minute on a Colton Antes triple, but the Norse put it away at the foul line, as Tyler Willette sank seven straight free throws. 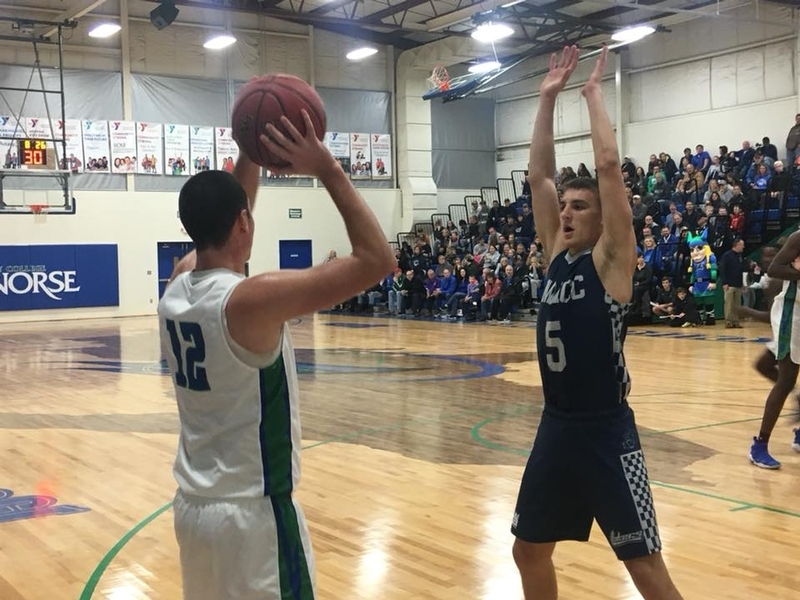 "Free throws are huge, especially in close games like this," Willette said. "You've got to hit them. It was a game of runs. We just had to stop the bleeding (early in the second half), and we came out strong." "We defended them exactly how we wanted to," Johnson said, as the Lakers started trying longer and longer triples as the second half wore on. "That's a credit to our guys. The effort was there. The focus was there. 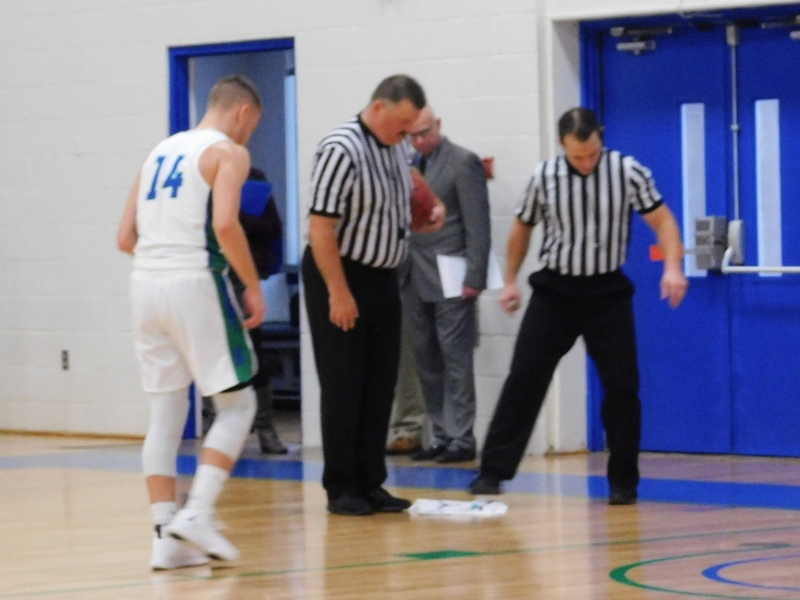 There was a little bit of slippage on offense when we started to not be aggressive, and started to be passive as opposed to getting to the basket. But we made the plays (down the stretch)." And for Smith, it was his second straight strong effort off of the bench. "Coach just told me to play strong and give effort," Smith said. "That's what I did." 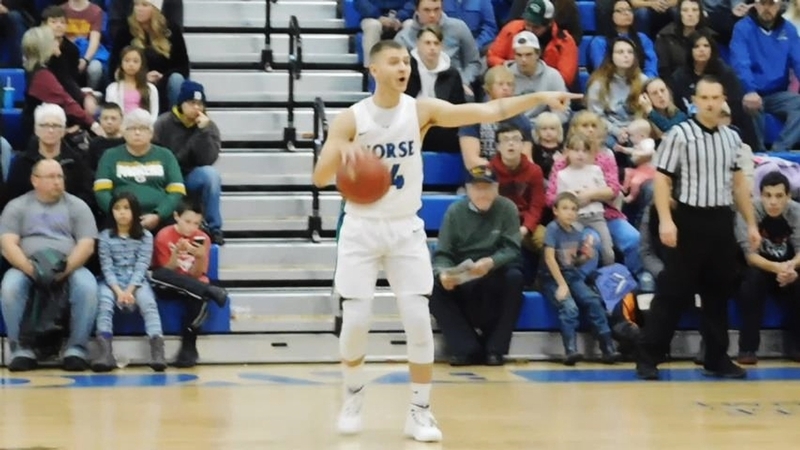 Besides Smith's 20 points, Fields had 15, Gibbs added 12, and Willette chipped in 11, as the Norse improved to 2-3 after three heartbreaking season-opening losses. 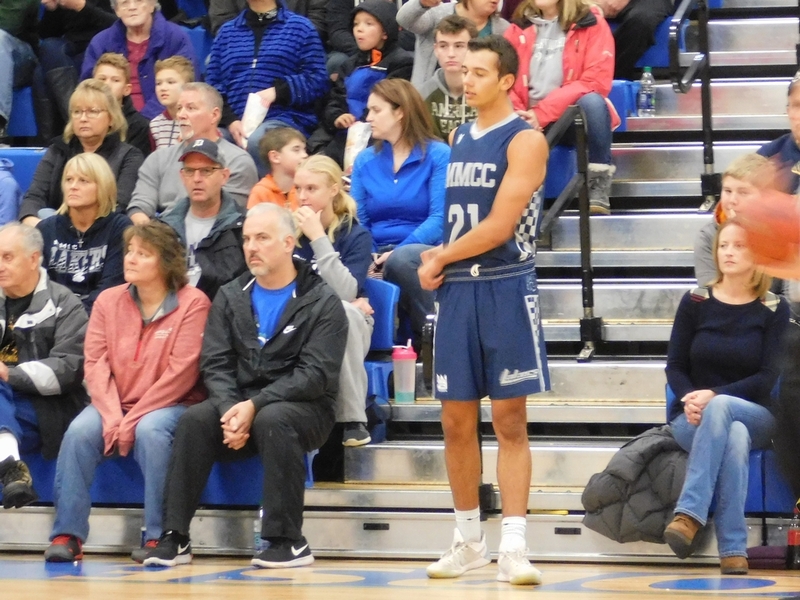 Antes led Mid-Michigan with 13 points. 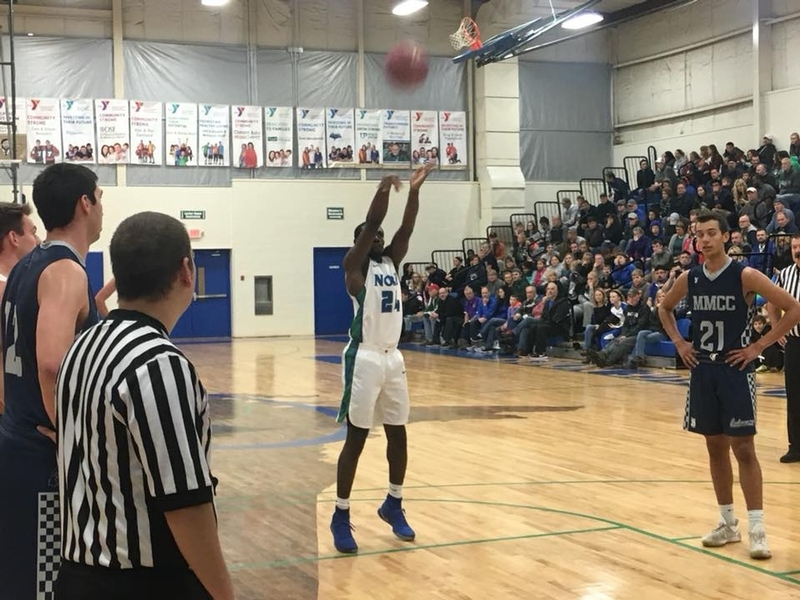 Westin Myles added 12, while Spencer Johnston and Spence DeMull each scored ten points. 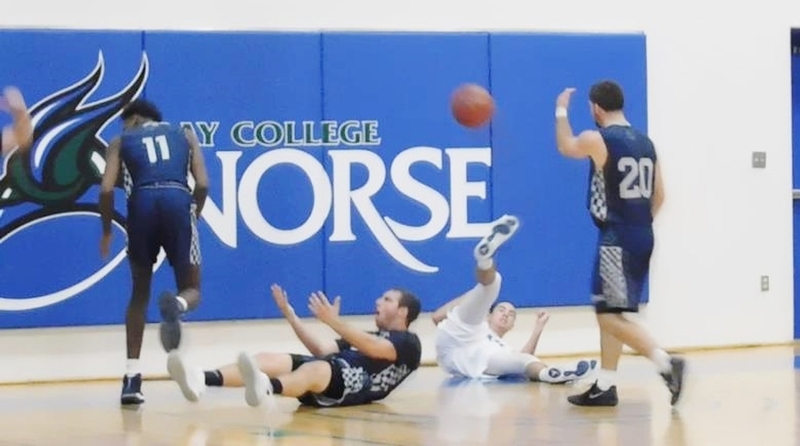 Bay College is back in action on Tuesday with a game in Menasha, Wis., against UW-Fox Valley. Game time is 7:00 WT/6:00 CT. It will be broadcast live on WMXG-FM (Maverick 106.3), and on-line at www.rrnsports.com. 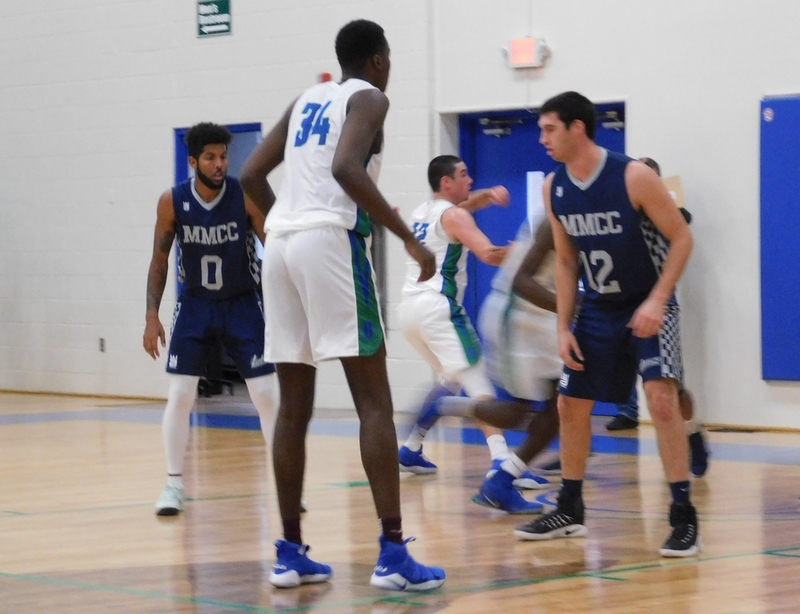 Click the thumbnails in the ARTICLE HIGHLIGHTS box above to see video highlights, photos taken by Dan Williams, and click the AUDIO button listen to Rasonte Smith's player spotlight interview.